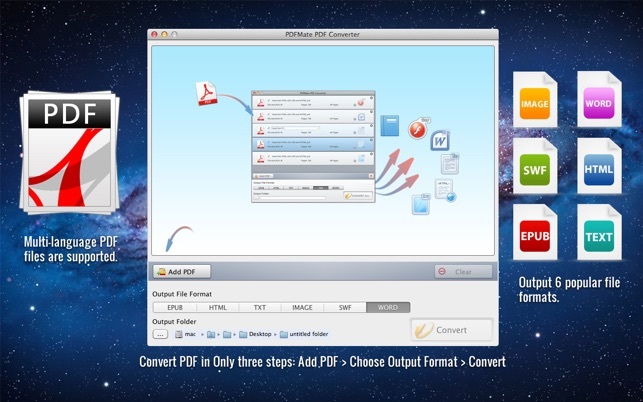 PDFMate PDF Converter is a powerful 6-in-1 PDF Converter that enables users to convert PDF to Word, EPUB, Text, JPG, HTML, and SWF text-based formats easily and accurately. It is the most handy and convenient PDF converter tool for business/study usage. 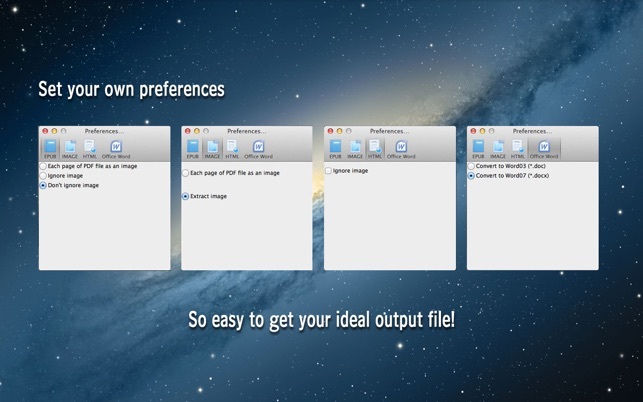 With PDFMate Mac PDF Converter, you can make full use of the original PDF document and get files in 6 different formats from PDF simply and quickly! Equipped with advanced OCR technology, it helps to convert scanned PDF files into editable documents at ease. 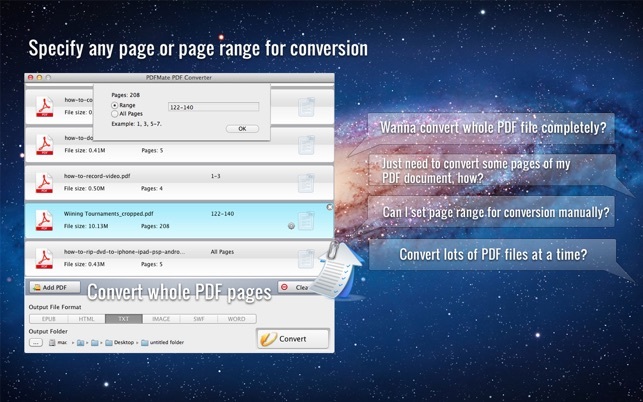 • Advanced: Support OCR technology to convert scanned PDF into editable document. 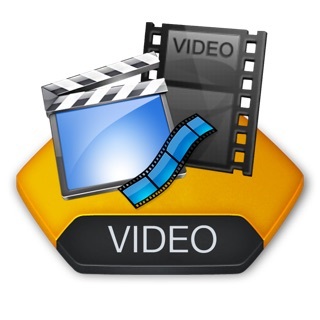 • User-friendly: Simple and brief program interface with easy operation. 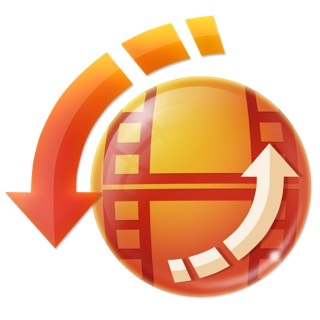 Need help with PDFMate PDF Converter or want to tell us what you think of our products? 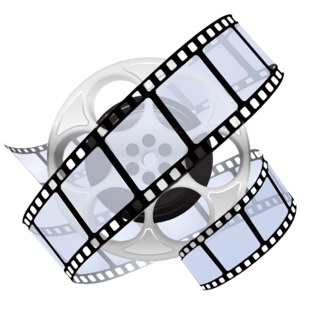 Please contact us via support@pdfmate.com and you will receive a reply within 24 hours. 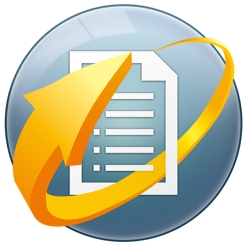 It's appreciated if you can rate and write down a review for PDFMate PDF Converter. 1. Support OCR to help you convert scanned PDF to editable document, currently only English is supported. I needed to break a large pdf file into smaller parts for easier transport. It didn’t work - I followed their instructions to the t, but while i could get it to break it apart, each file was empty! And in word - word would’t read the file at all! Upset that it says free on website, but I had to pay for the mac version and nothing works. Want my money back. Does not convert pdf to any text format including Word. Don’t buy! All this program does is take a pdf and make it into an image file in Word or Text. It’s not a true OCR program. If you’re looking for that don’t buy this product! I just got ripped off by Apple App Store again! I thought I was going to loose my money, but NOO! !